We all know that good promotion is one of the keys to running successful events. 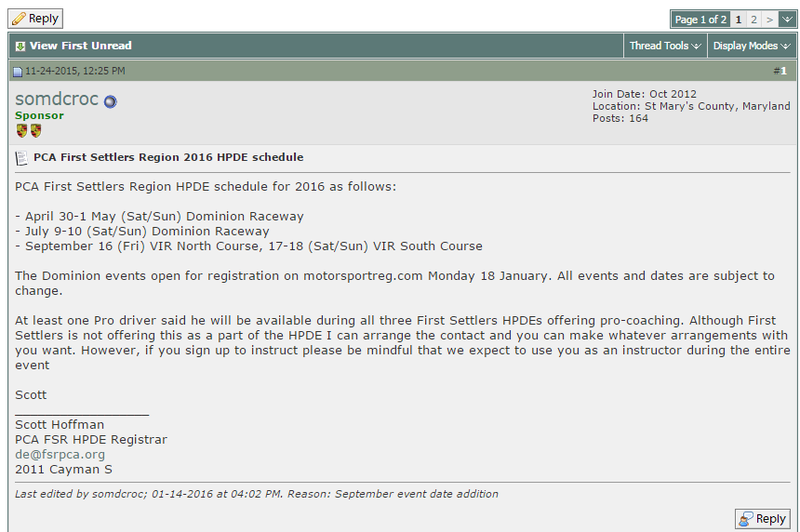 And just having your events listed on the MotorsportReg calendar is a great place to start. But that's not enough if you want to break even, make money, or sell out your event. We've previously blogged about how much time motorsport enthusiasts (and your potential attendees) are spending in forums. It's A LOT! And that's why it's a great place to promote your events. It's a pretty simple process and doesn't take any special skills- just your time. Follow our 5 easy steps below and be on your way to finding some new attendees. Easy- in most forums you have to be a member to post and it's usually free. Be sure to pick a username that's not offensive and well-represents your organization. Forums have multiple sections or sub-forums that are organized around a specific topic. Pick the one that is most relevant to your event. For example, people looking in the "Stuff for Sale" section are probably not looking for events to attend. Also look at the date of the last post, number of threads and number of posts and replies in that section. You want to post in sections that have a lot of recent traffic to make sure you get the most eyeballs on your thread. Initially, readers will only see your subject line and then decide to read your post- so make it good! March 16th Track Day at COTA is much better than Upcoming Track Event. In the body of your post, provide the most important details, but keep it short. Provide links to other non-critical information an attendee might need and can be found somewhere else. And always, always include the link to register for your event. Don't make attendees go look for it. And those are the basics. Have any good forums you think we should add to our list?